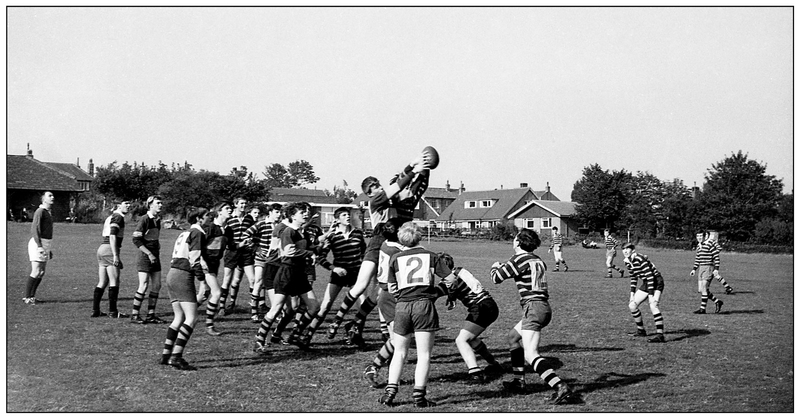 The small town Grammar School I went to played rugby. They had no time for what we in this country call football – and others call soccer – as such a game was the preserve of the working classes. And the rugby that was played was Rugby Union, the alternative code – Rugby League – was never mentioned despite the fact that the school was firmly set within the Rugby League belt that spanned northern England. Rugby League was played by those who favoured cheap thrills over systematic aggression: and it was also played by the working classes. No such activity could be undertaken by the pupils of the Crossley and Porter Grammar School. And so you were forced to play rugby, or if you could manage to avoid getting picked for one of the two opposing teams, you were forced to undertake a gruelling cross country run. I was lucky enough to fall into the latter category. No, I do myself an injustice, luck had little to do with it – I had built up my reputation for being a cack-handed pussyfoot with all the care and attention of a resolute enthusiast. And when the 35 pupils were divided into two teams of 15, more often than not I could guarantee to be in that sad residuum that had to tackle the cross-country course. The leftovers – the Puds, The Fat and the Ungodly – were sent on our way by the sports teacher who would then concentrate his attention on the rugger game. Now the school was situated close to the top edge of the broad but steep Calder Valley and the cross-country course would descend down one precipitous side of the valley, across the river, and then take a long hard climb up the other side, before plunging back down to the river and finishing up with a chest-crushing, leg-tiring, soul-destroying climb back up to the sports fields. The first part of the precipitous descent was through an area of rocky outcrops and dense scrubland known locally as “The Rocks”. Our little band of recalcitrants would enthusiastically run off to the rocks and as soon as we were out of sight, we would head for a cave where a copious cache of cigarettes and fizzy drunks had already been secreted. We would pass an enjoyable, convivial and relaxing fifty minutes before wheezing our way back up the path to the sports field bearing all the physical signs of severe exertion. It wasn’t always plane sailing. Occasionally the rugger match would finish early and the sports master would bring his binoculars to the top of the rocks to scan the valley for his five runners. This was particularly nerve racking as he had the habit of standing on top of the rock that formed the roof to our cave and we would be consumed with trying both to keep well hidden and disperse the aroma of Virginia tobacco. But we survived : that is what schools like mine were all about – turning adversity into triumph. Wonderful story – smacks of Frank Richards!